If you own a business in Houston, TX and surrounding areas and you are concerned about security, you should consider getting a closed circuit television. We are 713 Locksmith Houston and we are experts at installing, servicing, and replacing CCTVs for an increased level of security for your business. We have been providing the help people need in securing their businesses for many years. In addition to our complete locksmith service, we also install and service CCTV systems that enable people to monitor their businesses while they are away. We have developed a reputation for fast and friendly service, up front pricing, and having all of our expert technicians possess 5+ years of experience. Plus, we know the Houston area well and can guarantee a speedy response time no matter where in Houston your business is located. In addition to our 24x7 locksmith service, our mobile locksmiths can install and service an affordable CCTV system for additional security. We are customer-focused and will design the perfect CCTV system to meet your needs. We will do our best to make sure your business is protected. Closed circuit television systems are a great way to make sure your business assets are safe and secure. We can install the latest and most effective CCTV systems in the industry. These systems enable you to not only take a peek at what’s going on in your business at any time during the day or night, but also record or zoom in on anything you like. We will find out your goals for the CCTV system, assess your business’ security needs, and make recommendations on where in your business the cameras should be installed to be most effective and give you the most coverage of your property. We have been repairing and installing CCTV systems for quite some time. We can put the camera in places where they can be most effective, yet inconspicuous to the average person. 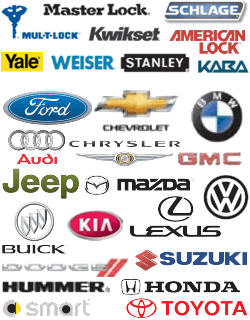 We can show you the top brands and explain the advantages and disadvantages of each one. Our licensed, bonded, and insured technicians can then quickly install the system and have it functioning in a flash. If you have a business in Houston or the surrounding area and want to improve your business’ security by adding a CCTV system, then give us a call. Our technicians will there in under speedyutes. If you already have a CCTV system and need to have it repaired, upgraded, or replaced, we’re the only company you need to call. Our mobile locksmiths have also received in-depth training in the installation and servicing of closed circuit television systems. They understand the common problems these systems develop, know how to repair or replace the cameras and any other part of the system, and have 5+ years experience doing it. Plus, with our up front pricing you’ll know exactly what the job will cost before our technicians begin their work. Experience is essential when repairing or installing closed circuit television systems. We have more experience installing and repairing CCTV systems than any other company in the Houston, TX and surrounding communities. We can help to take care of all your security needs with our complete locksmith service and our ability to provide the right CCTV system for your business. Just like with our well-respected locksmith service, the expert technicians at 713 Locksmith Houston all have 5+ years experience installing and repairing CCTV systems. Our honest, dependable, professional technicians provide fast and friendly, 24x7 locksmith service and CCTV repair and installation. Plus, they’re all polite, courteous, licensed, bonded, and insured and guarantee a speedy response time when you call us to repair, replace, or install your CCTV system. 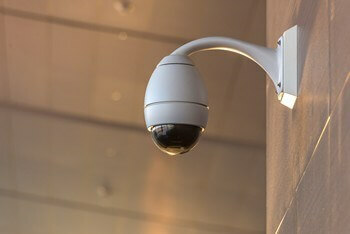 We’ve installed and repaired CCTV systems in government buildings, banks, malls, supermarkets, offices, and more. That experience makes us better prepared to take care of your CCTV. We’re more than just a commercial locksmith. We’re a company committed to helping meet all of your business’ security needs. Call us today and let us show you how we can help with your closed circuit television system at a price that’ll make you smile. 713 Locksmith Houston – Your Reliable and Affordable CCTV Pros! Closed Circuit Television (CCTV) Installation and Repair http://713locksmith.com/closed-circuit-television/ 4.2/5 based upon 12 reviews.